The Pro-C controller is supplied with a factory-installed base module for up to 4 stations on the PC-400 and up to 3 stations on the older PC-300. Additional modules may be added in increments of 3 stations (PCM-300) or a single 9-station (PCM-900) to expand the controller’s station capability to 15-16 stations. Additional modules are sold separately. After inserting station modules, pressing the reset button should be done to allow full recognition. Below you will find information on the compatibility of different modules for both the PC-300 and PC-400 controllers. 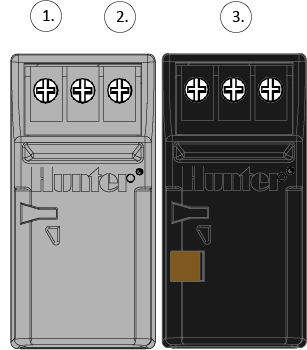 2003-2006 Models use the grey modules with slide bar in center of wiring compartment labeled “locked/Unlocked” (both black and grey modules will work in this version Pro-C). 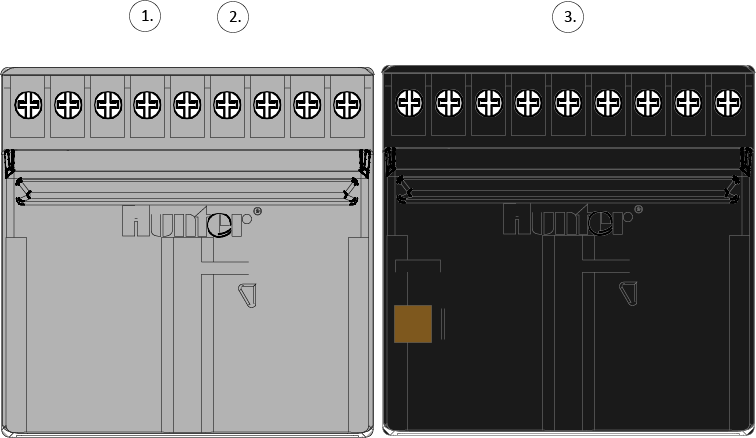 2006 Models use the black modules (gold tab) with slide bar in center of wiring compartment labeled “power on/power off” (black modules PN 466500 work in all models except first generation Pro-C models 2002 an older). 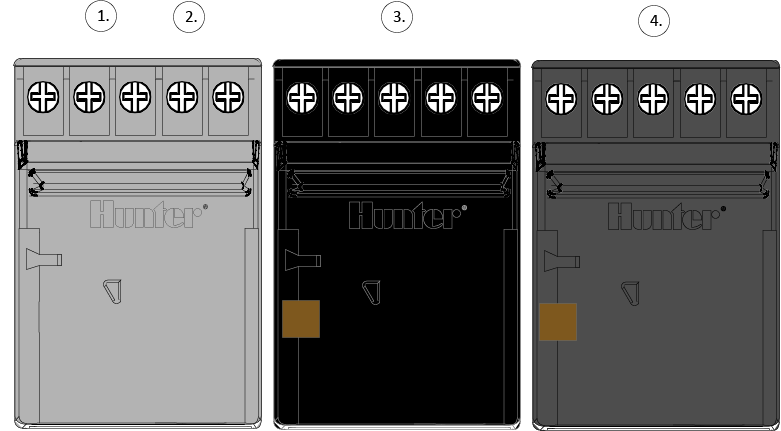 2014 - Present PC-400 Models use the charcoal grey main module PN 820200 only. 2006 Models use the black modules (gold tab) with slide bar in center of wiring compartment labeled “power on/power off” (black modules work in all models except first generation Pro-C models 2002 an older). Prior to installing the PCM-900 9 station module, make sure you have the base module as well as a PCM-300 three station module in place.